Building a Real-Time Analytics Engine - Enova International, Inc.
Today, Joe DeCosmo, Enova’s Chief Analytics Officer, presented at the 2015 INFORMS Conference on Business Analytics and Operational Research in Huntington Beach, California. Joe leads Enova’s team of 50 analytics professionals – a team that was tasked with building a real-time analytics engine to facilitate the underwriting of customers, lead import decisions and marketing efforts. This system needed to be able to easily implement cutting-edge statistical techniques while maintaining throughput of at least 300k requests per hour. In his presentation, Joe discussed the requirements of the system, provided background information and walked conference attendees through the process of designing and implementing the platform. He also shared learnings about what went well and what did not go well, as well as practical knowledge about how audience members could get started implementing a comparable system. 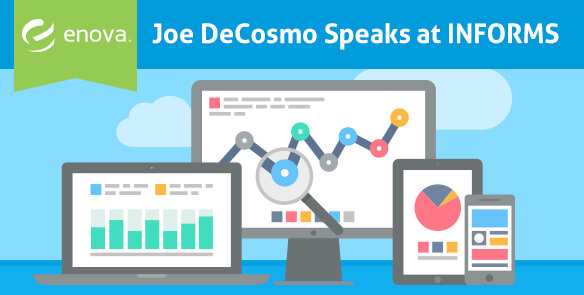 Download Joe’s full presentation for the inside scoop on Enova’s real-time analytics engine.